The civil rights movements provides an opportunity to pursue the mainstreaming of the troubled FATA region in a democratic fashion with the involvement of its people. According to Imtiaz Alam, The News, one of Pakistan’s prominent English language dailies, refused to publish this column written by him. He released the text “to uphold my freedom of expression [and] for the people’s right to know.” The Wire is publishing the article to ensure it reaches a wide audience in South Asia and the world. Lahore: Gone are the days of colonialism, yet we see its remnants to this day. The Federally Administered Tribal Areas (FATA) is such a space that was either eulogised for the ‘free spirit’ of our valiant tribesmen or abused as a lawless region. It came to be the epicentre of terrorist structures, which were rooted out by our valiant armed forces. As we slowly, lopsidedly and coercively move towards the ‘mainstreaming’ of FATA from outside and over the heads of its people, the death [of a young Pashtun man] Naqibullah Mehsud in a fake police-encounter [in Karachi] provoked our besieged tribal and not-so-tribal youth to vent their passionate indignation over their plight. They came to Lahore to share their agony and lament our apathy towards the miseries they had suffered for too long with no light at the end of the tunnel. There were a few among the self-loving Punjabis, an odd combination of the Lahore Left Front (squabbling over the ideological plausibility of its worthiness), who decided to respect their civil right to express themselves from the ‘Hyde Park’ of the inner city – the historic Mochi Gate. With the new found emblem of “vote ko izzat do”, the ruling Pakistan Muslim League (N) – which prefers to close its eyes over the abuse of freedoms by the rebellious clerics – shivered in its pants in granting freedom of assembly and speech to the defiant youth as a brutalised and fragmented civil society dared to stand by the worthy visitors. A mini-hell broke loose in Lahore and an ugly scene was created by a confused police and the wayward hot pursuit engaged in by a variety of intelligence sleuths late at night that ironically provoked even armchair revolutionaries like me to recall the day when we took out a procession to oppose military action in the then East Pakistan of 1970. 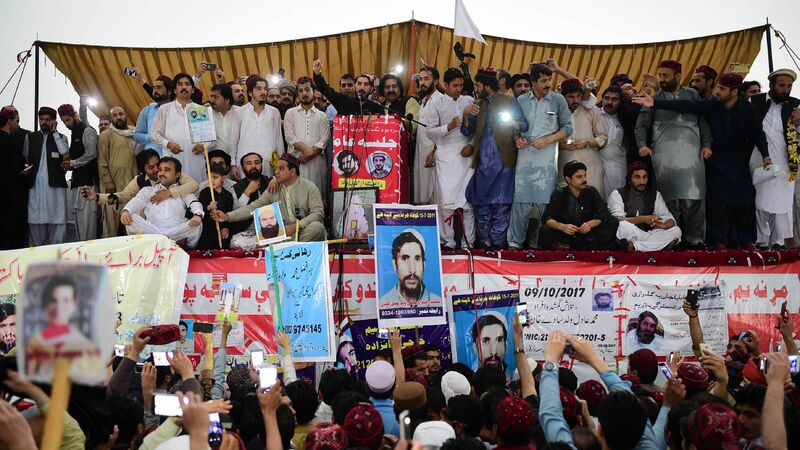 The protestors narrated their heart-rending stories of death and destruction from all sides and vented their anger against the fathers and grave-diggers of the terrorists and the bloody fiefdoms of a variety of warring Taliban. These were the stories of victimhood of recent generations, who lost their childhoods in the bloody wars fought in the name of faith or for hegemony of arms. In the last four decades, tribal society has passed through the most torturous, bloody, destructive, divisive and increasingly brutalising phases. The sons and daughters of these dark times saw nothing except barbarities, hopelessness and helplessness. The children of jihad from the war zone had no window of opportunity or expression. As they saw a most handsome young man – an aspiring model with fascinating attire and alluring photo sessions – being cold-bloodedly murdered, they simply could not take it anymore and thronged to public spaces with a white flag in their hands. Suddenly, we see a Pashtun civil rights’ spring emerging from the death-fields of FATA. It took everybody by surprise, which erroneously gave birth to conspiracy theories. Popular movements do not spring out of the womb of conspiracies. However, spontaneity can take any direction, depending on the sense and actions and reactions of the adversaries. If the mainstreaming of FATA, rehabilitation of its displaced people and rejuvenation of their lives is intended, then what could be a more humanistic societal change than these Pashtun youngsters providing a social base for civil society to fill the promising void created with the exit of the barbaric Taliban? An unwarranted and thoughtless conflict between the youth and the security forces could again push a new generation to the other side of the fence – only to become fodder in an inter-state conflict. Neither forcible integration nor separatism would help resolve the basic social and economic maladies and matters pertaining to the organic development of the people of FATA. Indeed, after the horrifying slaughter of our children at Army Public School Peshawar, Operation Zarb-i-Azb and later Operation Rad-ul-Fasad became primarily instrumental in cleansing out the terrorists and destroying their hideouts among the populace and remote places. Military victory is always accompanied by its usual pitfalls. The military operations are not undertaken with kid-gloves; they are the baptism of Armageddon and bring death and destruction in their wake. The original sin is finally in the last phase of its ablution. It must be commended, even with or without a pinch of salt. The sacrifices of Pakistan’s soldiers and officers are incomparable and laudable. Let’s not question their valour and honour because of the misdeeds of those who put the country through perpetual pain and self-immolation. All have suffered under the tutelage of the jihadi paradigm –even the misguided teenage suicide-bombers. Now is the time for healing, recouping and allowing the nourishment of a new civil society across the fascinating lands of our indomitable tribal people. Under a somewhat delayed process of mainstreaming FATA, parliament has legislated to extend the constitutional writ of the Supreme Court of Pakistan and the Peshawar High Court to the Federally Administered Tribal Areas, still ruled by coercion and without the rule of law. The armed forces have done a commendable job of eliminating the scourge of terrorism from almost all of FATA and other regions. Now, it’s time for civilianisation and the integration of lawless regions into the constitutional, political, economic and administrative framework of the national mainstream. And this can and should be done with the unhindered participation of the tribal people, through an organic process that empowers the people rather than reviving the relics of the colonial era or keeping the punitive structures that were part of the much needed operations. Annexation cannot work, nor can Balkanisation in a most tumultuous region. Popular rights-based movements warrant the unity and support of all democrats and progressive people – not chauvinistic divisions. Both movements and their support system must be kept within the peaceful framework of constitutional and legal means. They must not entertain any adventurous tactics and slogans that strengthen the anti-people agendas of anti-democratic forces or provoke a possible crackdown against a nascent civil rights’ movement that needs consolidation on democratic lines, while discarding warlordism and ethnic chauvinism. They should also be mindful of all kinds of mischief mongers and guard against hostile alien elements. The agitators and the authorities must engage with patience for the acceptance of genuine civil rights. We have heard about some sort of engagements between the military authorities and the leaders of the Pashtun youth movement. Communication lines are being maintained, I have heard, despite provocations. We have seen a positive outcome of talks between the traders and the Inter-Services Public Relations office of the Pakistan army. However, the talks must not be piecemeal; they should be comprehensive and appropriately structured. – Decolonisation: Bringing an end to the Frontier Crimes Regulation and the reign of Political Agents and Maliks. – De-Talibanisation: To not let the Taliban and their variants take hold of FATA again. – Demilitarisation: A timeframe to replace military structures and check-posts with civilian structures for administration. – Disposal of landmines: It’s already underway and should be expedited. – De-Guantanamoisation: Creating a truth and reconciliation commission to bring disappeared persons before a court of law or tribunal and satisfying the aggrieved families about their whereabouts or fate. – Civilianisation: All fundamental, human, civil and social rights should be assured for the people of FATA. – Mainstreaming: Constitutional, judicial, political and administrative mainstreaming of FATA, beginning with the determination of its status as either an autonomous region of the federation or its integration with Khyber-Pakhtunkhwa (KP) through an appropriate verdict of the people. It could be done through a ballot paper along with the elections to the provincial-tier during the course of general elections. – The establishment of powerful local governments with proportionate representation of all people, classes, tribes and sub-tribes. The extension of the lower tiers of judicial structures along with local dispute resolution councils. Administrative structures and local police/levies responsible to local councils must be created. – Rehabilitation and reconstruction: Rehabilitation of all Internally Displaced Persons with direct and full compensation, as was done in Swat. The reconstruction of villages, towns, businesses, handicrafts and agriculture. Due compensation for the losses of properties, businesses and other means of livelihood. – Rejuvenation: Greater allocation of resources for poverty alleviation, education, health, water, energy and municipal provisions. Revival of cultural, social and sports activities. – Resource allocation: appropriate resources, including due share in the divisible pool, which must be put at the disposal of local people. 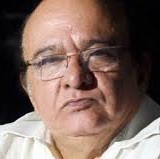 Imtiaz Alam is a Lahore-based journalist and a founder president of the South Asian Free Media Association (SAFMA).